I teased this pattern back in April when I first started designing it. It took me a few trial and error swatches to finally get the pattern I wanted with repeating triangles. I used Cotton Ease yarn for the gray, knitting portion. 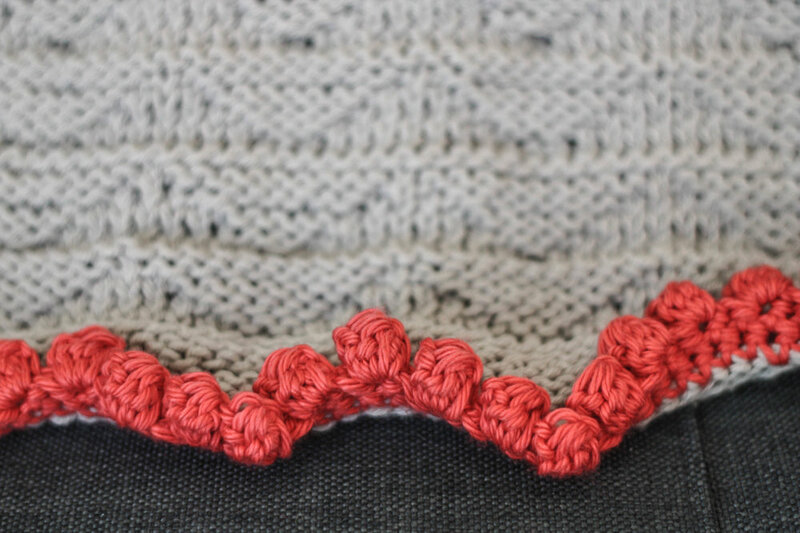 I love Cotton Ease for baby blankets because it's soft, washable and durable. It's a cotton / acrylic blend that feels more like full cotton. I liked the blanket after finishing the knitting portion, but something was missing. It needed a little more color pop. 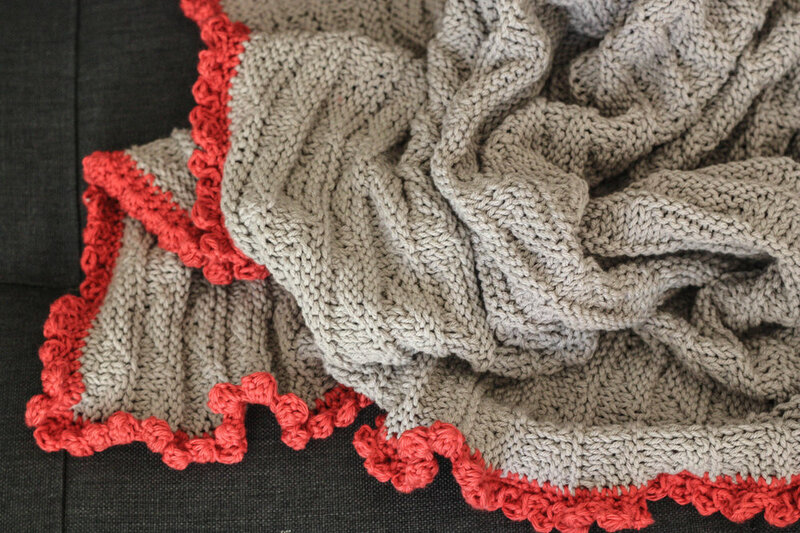 When I started knitting the blanket, I didn't know if my friend was having a girl or boy. After the baby was born and I found it it was a girl, I decided to add a colorful border. Enjoy and if you have any questions before buying, post them in the comments!